Melé creates euphoric high-octane dance music inspired by his love of Brazilian inspired house, transatlantic hip hop and garage. The boy from the Wirral started young, producing tunes aged 13; a decade on and he’s now one the UK’s premier underground DJs and producers receiving support and recognition from some of the biggest names across the dance music scene from Skream to Disclosure. Balancing the tricky line between club and commercial, Melé is no stranger to national radio airplay with continued support from Annie Mac, MistaJam, Zane Lowe, David Rodigan MBE, Nick Grimshaw, Annie Nightingale, Monki and Toddla T. With the airwaves well and truly locked, Melé continues to dominate the UK and international festival circuit making his annual pilgrimage to rinse out the bassbins at Sonar, Glastonbury, Bestival, Parklife and Lovebox. 2014 saw Melé take an enterprising leap by starting his own label: Quadrants. The same year, Melé joined forces with Digital Soundboy to give away his ‘Metal Gear’, which proved to be a turning point in his production career. DJ support from Oneman, Moxie, Rodigan and Toddla T on the DMX track cemented Melé as the club anthem king for that year. Early 2015 equalled a step up in output, and Melé join the Diplo & Friends team as their mix resident on Radio 1 and 1Xtra. As well as specially crafted mixes for Radio 1, Boiler Room, Lucky Me, Red Bull Studios London and the self-released Melmatic and Melé Vanele series, it’s the studio where Melé really comes into his own. He is focused and considered, meticulously balancing crisp snares, huge sub bass with 808 claps and rolling synths. Heavyweight tunes like ‘Beamer’ featuring Kano and ‘Starlight Express’ are a nod to his hip hop muses DJ Premier, Just Blaze and Dr.Dre. 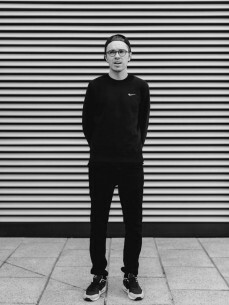 Melé’s beat creation is informed by a fascination and detailed understanding of analogue gear and computer games. The obsession started in his early teens where he would spend hours tinkering with drum machines in his bedroom and a retro copy of Reason. Since then he has upgraded to Logic and keeps Maschine close for inspiration. Following the success of releases on Grizzly, Digital Soundboy, Toddla T’s Girls Music imprint, Melé teamed up Redlight for the dance tune of Summer 2015, ‘Ambience’ on the Bristol Natives label, Lobster Boy. This signalled the start of the next chapter and signified the early foundations of Melé’s international sound and name for his tribal house creations. For Melé fans it was another excellent single to playlist alongside remixes for Disclosure, Bastille, Wretch 32, Clean Bandit and KDA. Championed by Annie Mac, who included it on her Number 1 compilation series ‘Annie Mac Presents 2015’, ‘Ambience’ became the go to club and festival winner for any respectable DJ, everyone from Jamie Jones, Kenny Dope, Jackmaster and Skream were hammering the tribal house anthem across the globe. It even managed to stay as the Number 1 Most Shazamed track in the UK that was not on a day time radio playlist for the whole of July and August, no mean feat for an independently released track. Perhaps his strongest asset and what sits him head and shoulders above most of his peers is his aptitude for DJing. Melé’s sets mainline into the crowds psyche. He confidently blends iconic 90s house and techno hits into contemporary bass tracks, his own productions and a healthy dose of hands-in-the-air anthems slipped in for good measure. With comparisons regularly drawn to DJ EZ for technically ability and flair, it’s no surprise that in September 2015, Melé launched his first 12 month long club residency in his home town of Liverpool at the legendary Shipping’s Forecast.